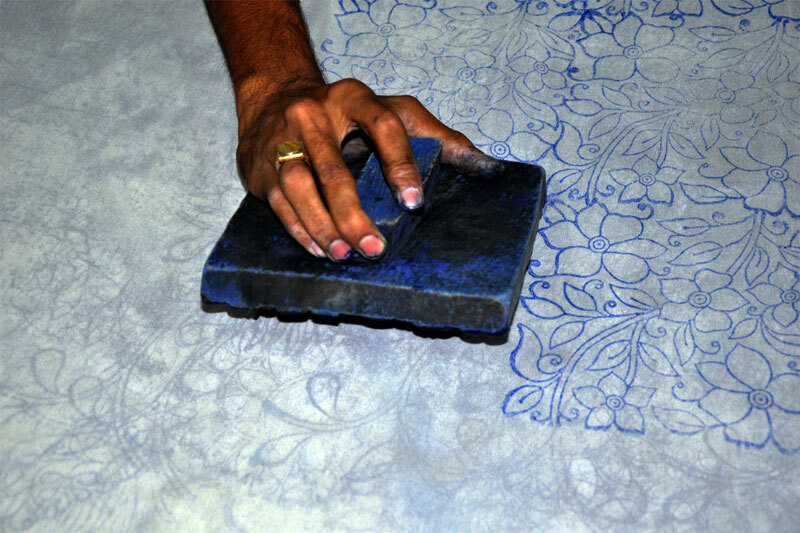 Block Printing: Initially, the design to be worked is printed on the plain fabric. 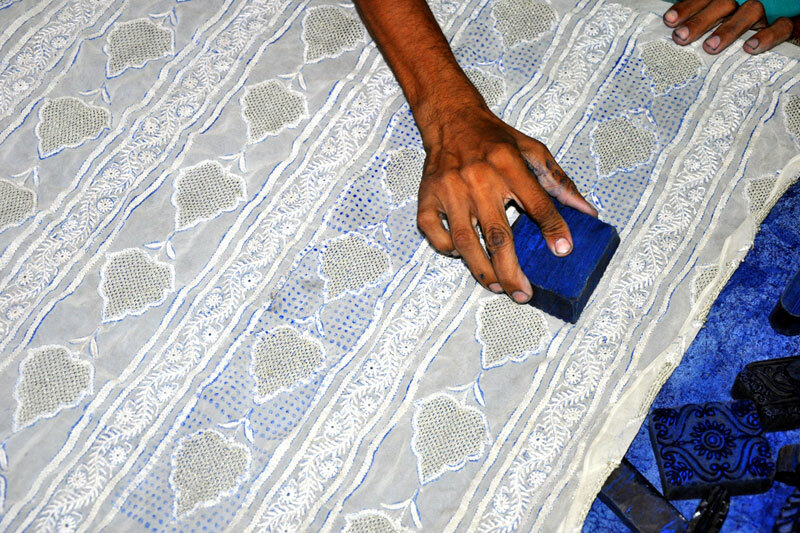 The wooden block is dipped in the color solution which is made by mixing glue and indigo. 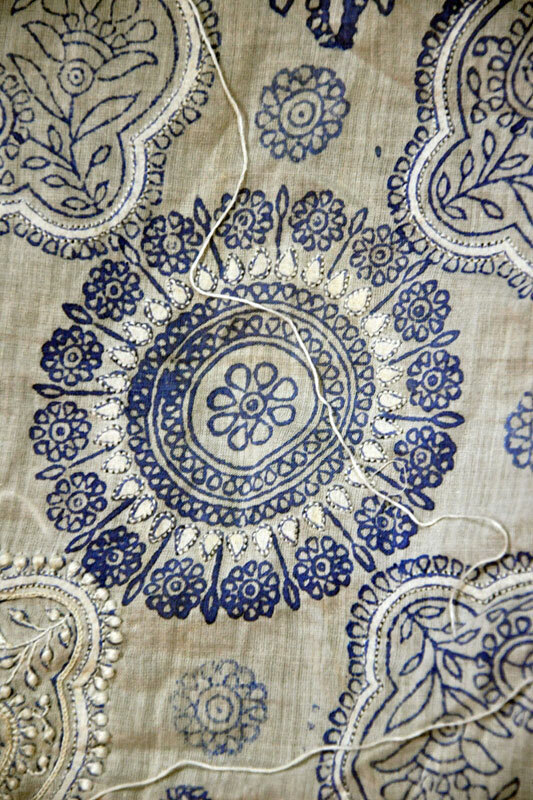 Then it is printed on the fabric. 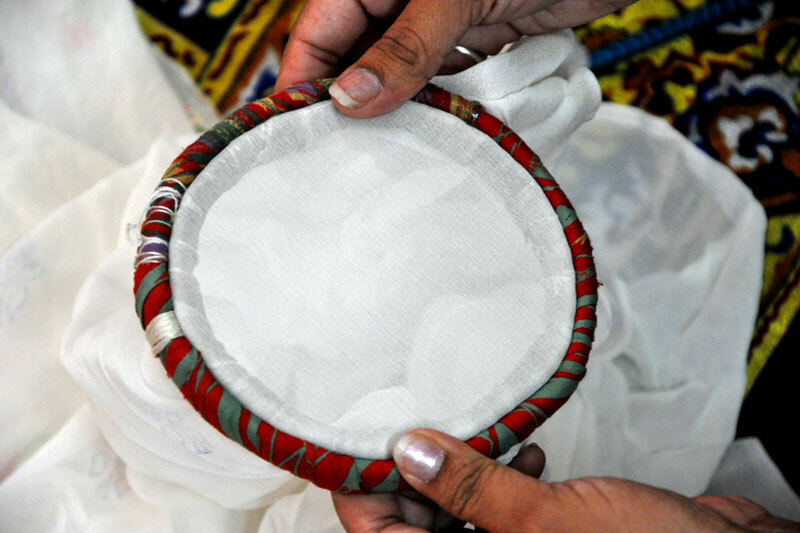 There will be different blocks for butis, floral patterns and borders. 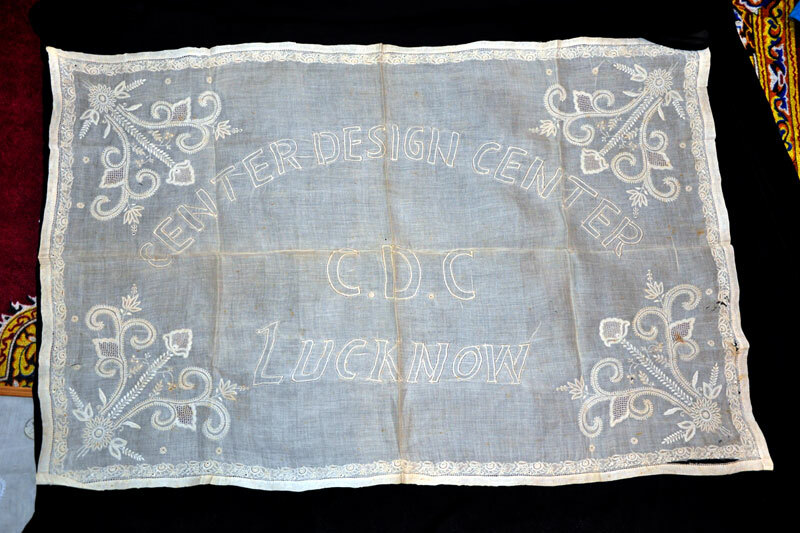 In Lucknow, the printing process is done by separate group of artisans who mainly concentrate in printing. 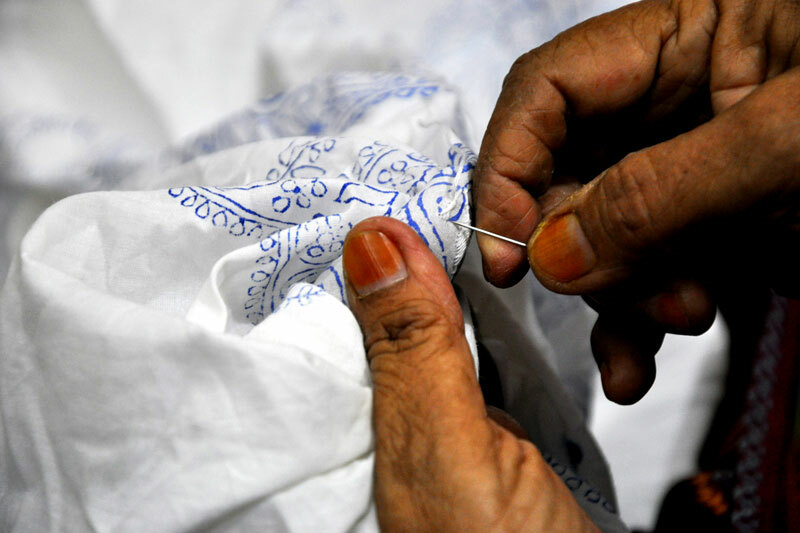 The printed fabric is now ready for the embroidery work. 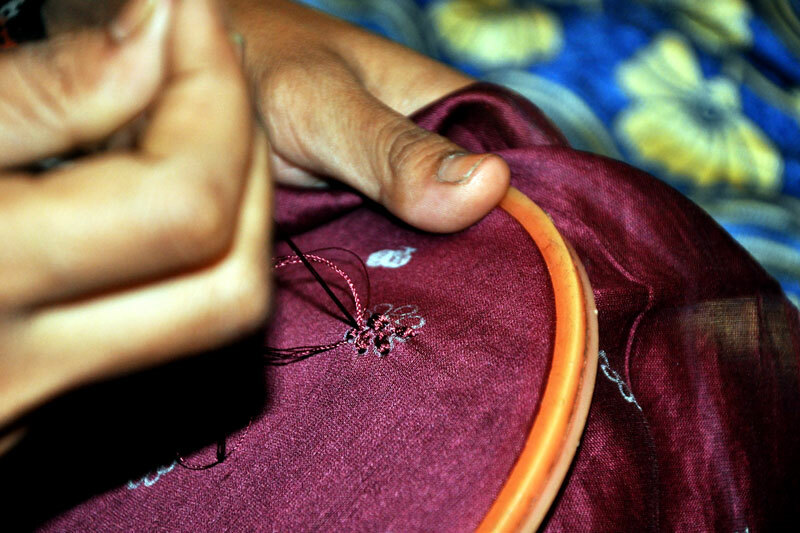 Embroidery work: The embroidery is done over the printed design pattern using needle and thread. 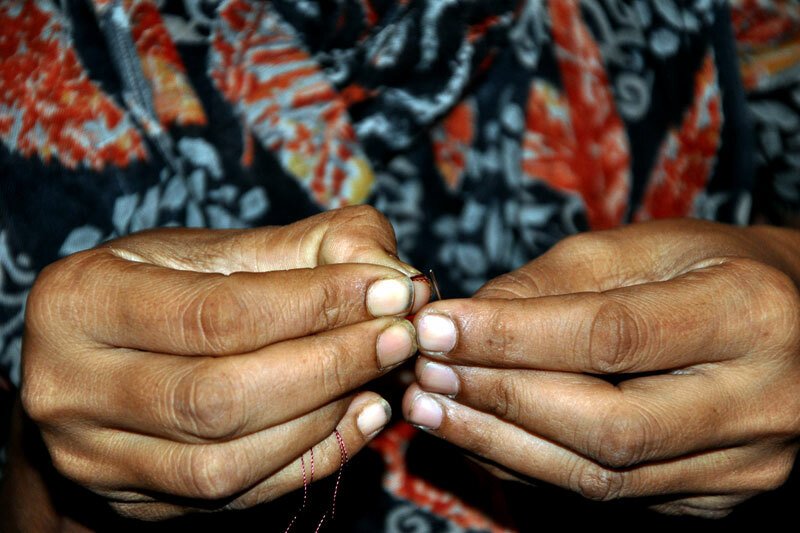 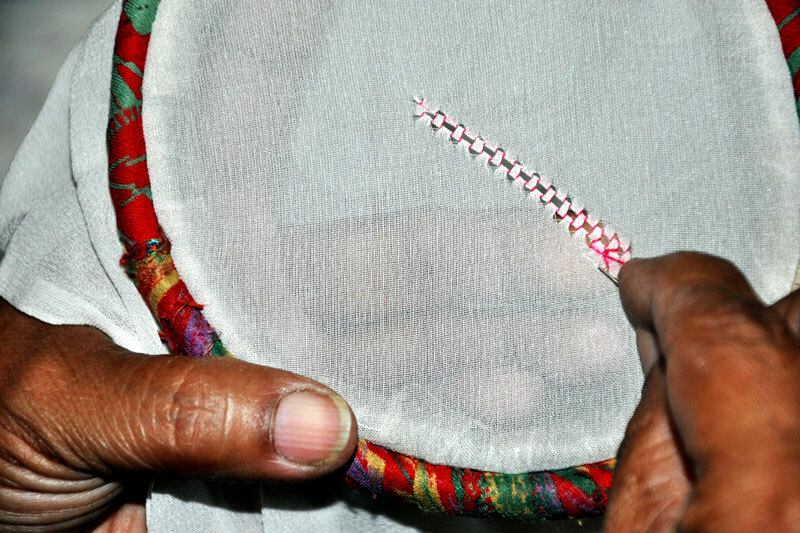 The artisan creates traditional patterns using different techniques. 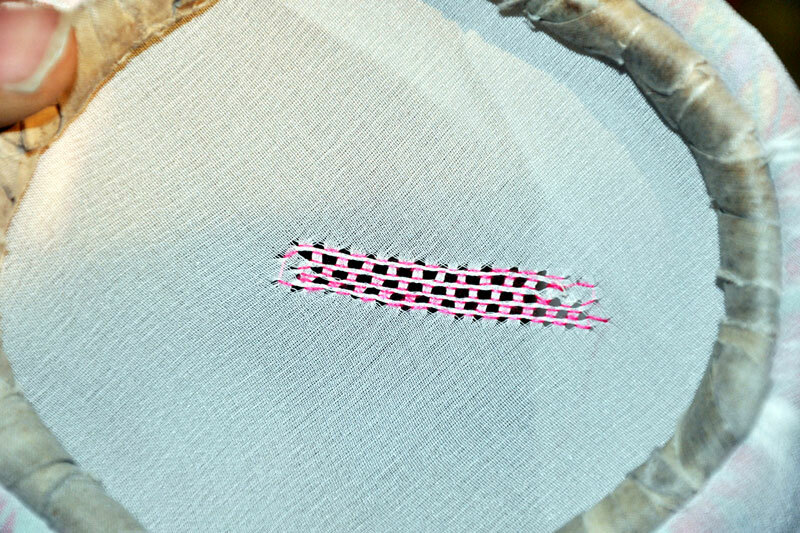 Different types of stitches can be made in one product. 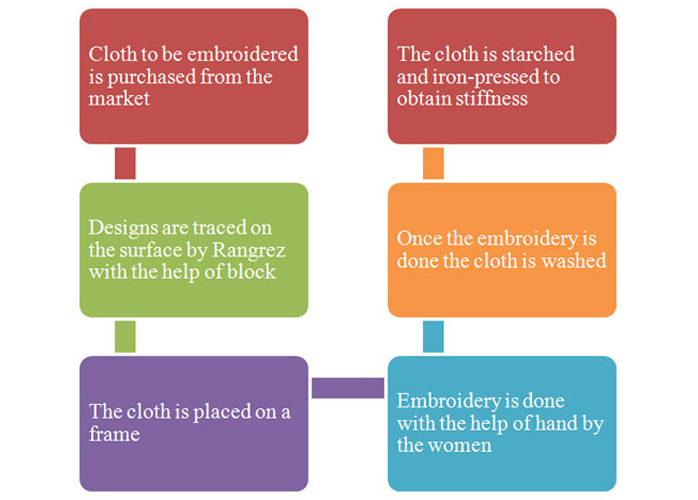 Washing: Washing is the final stage of production process. 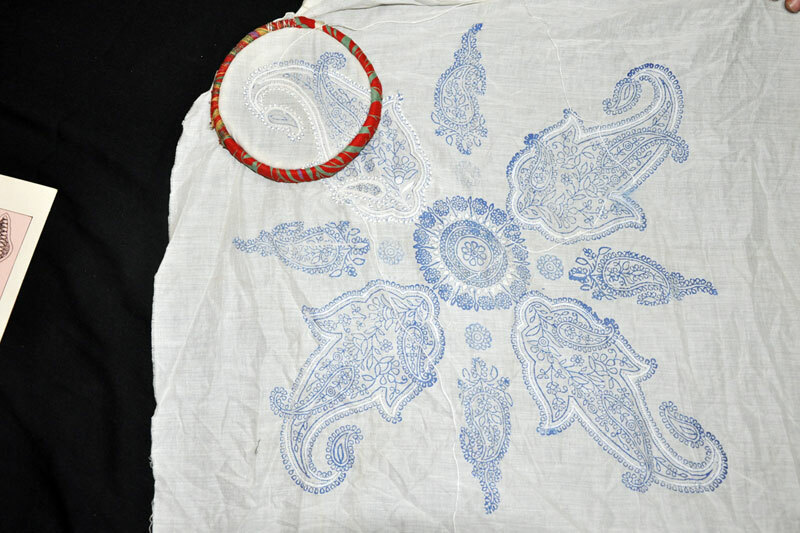 The fabric after embroidery work is first soaked in water and then washed to remove the block printed blue color. 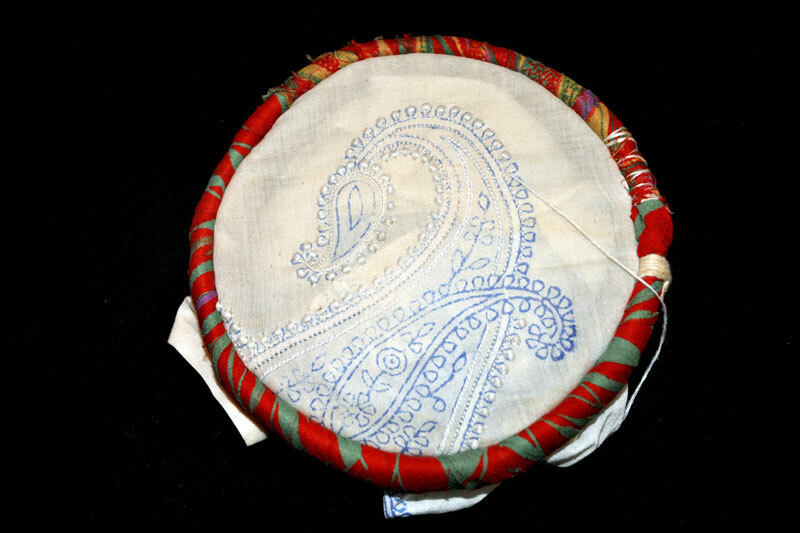 Then it is starched and ironed to obtain stiffness. 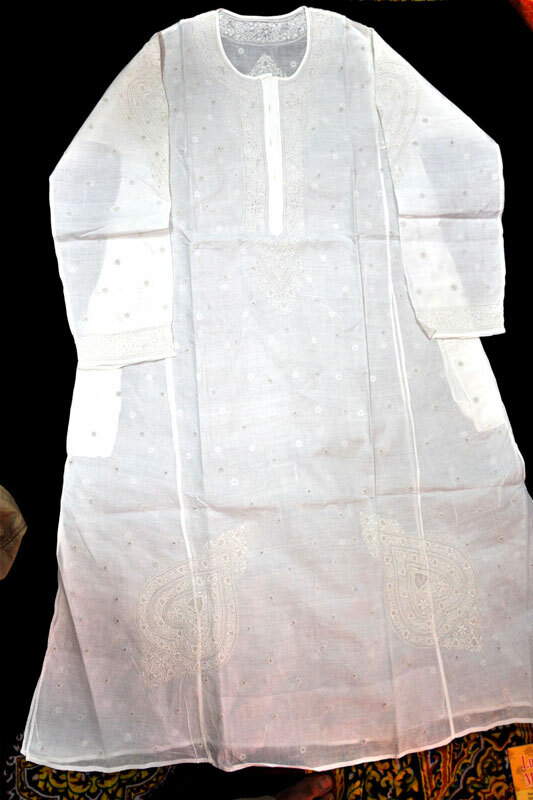 The final product is now ready for the market.